Climbing Forbidden Peak in North Cascades National Park last weekend was one of the best mountain experiences I’ve ever had. I was thinking Forbidden must be in my top 10, and maybe even my top 5 favorite peaks I’ve ever been to. View from E Ridge of Forbidden Peak. Rainier in the distance. Given my recent (and perennial) obsession with lists, I decided to make a list and see how Forbidden measured up to the other peaks I’ve climbed in my life. These are just my personal favorite peaks, and not an objective rating. 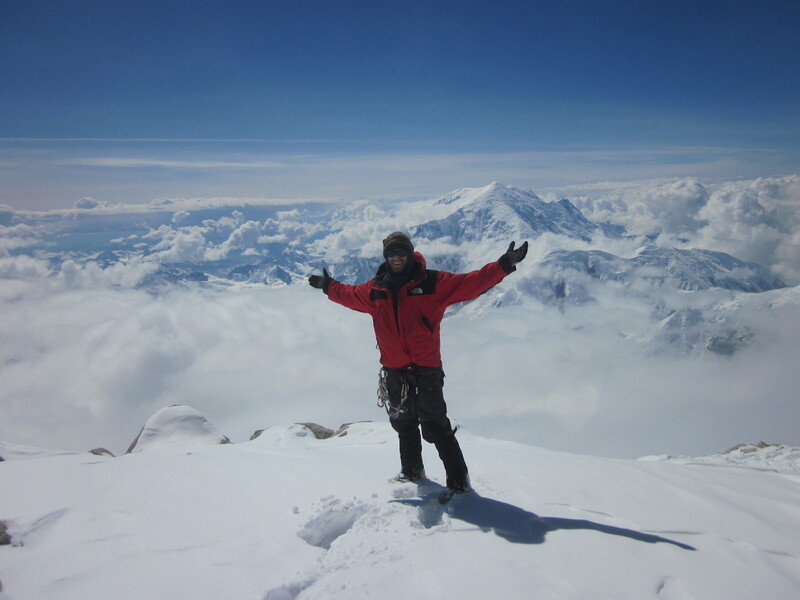 A lot has to do with my experiences on the mountain that made them special. They are in order, though there are no specific criteria for ranking. It’s basically just how excited I get when I think about the peak. The only qualification is I must have climbed it. If you have a favorite peak not on here, let me know about it, maybe I just haven’t been there yet! 25. Mount Soledad (La Jolla, CA). Perhaps more like a big hill, but it overlooks my home, keeps the clouds in and the weather cool, and is a great place to run, bike, and observe the city. Plus, the late Dr Seuss’s home is up on top! 24. SantaMaria (Sierra Madre, Guatemala). 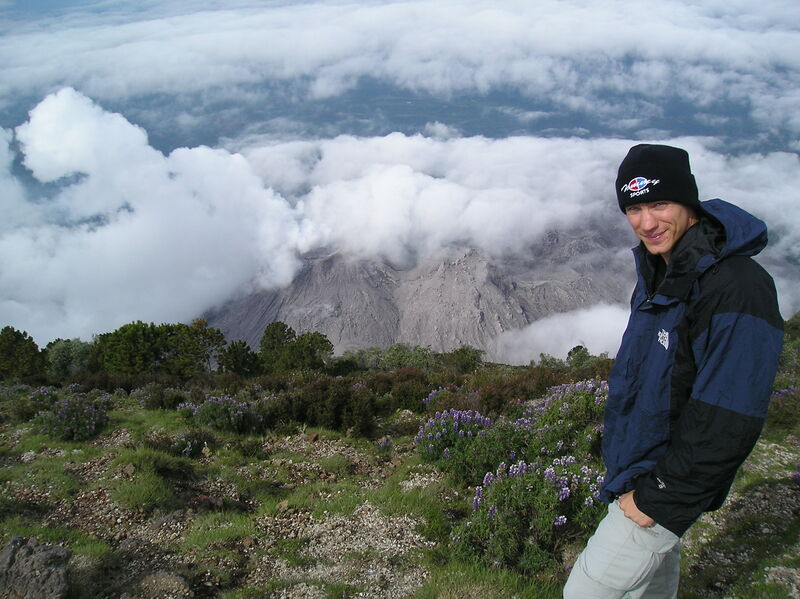 A volcanic summit, one of the few places in the world where you can look down at another smoking, active volcano. Mist-ical. On Santamaria’s summit, looking at an active cauldera’s smoke. 23. Sulaiman Mountain (Pamir Range, Kyrgyzstan). Really I like all holy mountains I’ve been to–Moriah, Gerizim, even Sinai. But this Muslim holy place (and newly minted UNESCO heritage site) is more tranquil than those as it has its shrines on the lower mountain. There’s no trail to the top, but you can still scramble up and get a great view of civilization below. 22. Grant Teton (Tetons, Rocky Mountains, WY). Its reputation overstates its climbing, but this is still an amazing, shapely peak with real alpine conditions. 3 routes in the 50 classics don’t help keep down the crowds and guided groups, but really those guys start so early in the morning you never really see them. Trip report (along with Gannett and Borah) here. 21. Table Mountain (Table Mountain Range, South Africa). Perhaps one of the most incredible looking peaks in the world, 2 miles of completely flat wet alpine vegetation, surrounded by cliffs and dropping to the sea. 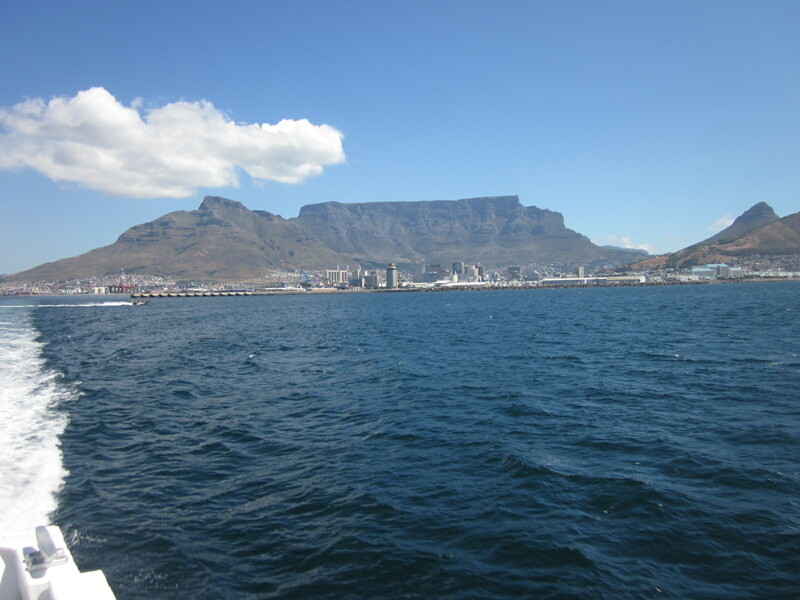 It’s a peak that’s amazing from every angle around the city and even from Robben Island. Yes the cable car can add crowds, but if you go up early, before it opens, you can have it to yourself. 19. Borah (Lost River Range, Rockies, ID). Idaho’s high point is a perfect mountain. A huge gain and steep good rock with good exposure means even the class 3 standard route is an incredible outing. Tr here. 17. Old Rag (Shenandoah, Appalachians, VA). Certainly the best scramble in the Shenandoah, Fall colors also help this peak. And on the back side quality rock climbing also abounds. 16. Mt Russell (Sierra Nevada, CA). 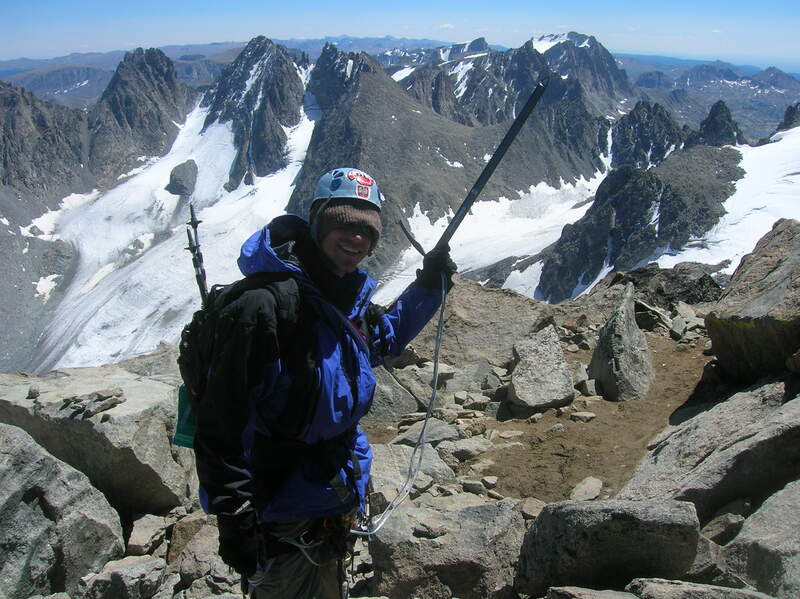 The best rock of any 14er in California, its sheer south face was my first hard alpine rock route (Star Trekkin’). It’s also beautiful — and remote enough to have it to yourself. One of my Russell TRs is here. 15. Crestone Needle (Sangre De Cristo, Rockies, CO). Is probably is unmatched in shapeliness amongst Colorado 14ers. The standard route, my first 14er, gets a lot of hype as possibly the hardest standard 14er route in Colorado. But its other 2 main routes Ellingwood arete (in the 50 Classics) and the traverse from Crestone Peak are likewise excellent, and I think better. South Colony Lakes is a tremendous base camp as well. One of the TRs is buried amongst 20 or so other climbs in the Rockies, along with Longs and Blanca, here. 14. Korona (Ala-Archa, Western Tien Shan, Kyrgyzstan). If it were not for Iziskatel, the ridiculously beautiful spire on it shoulder, Korona would be the most beautiful peak in Ala-Archa National park. 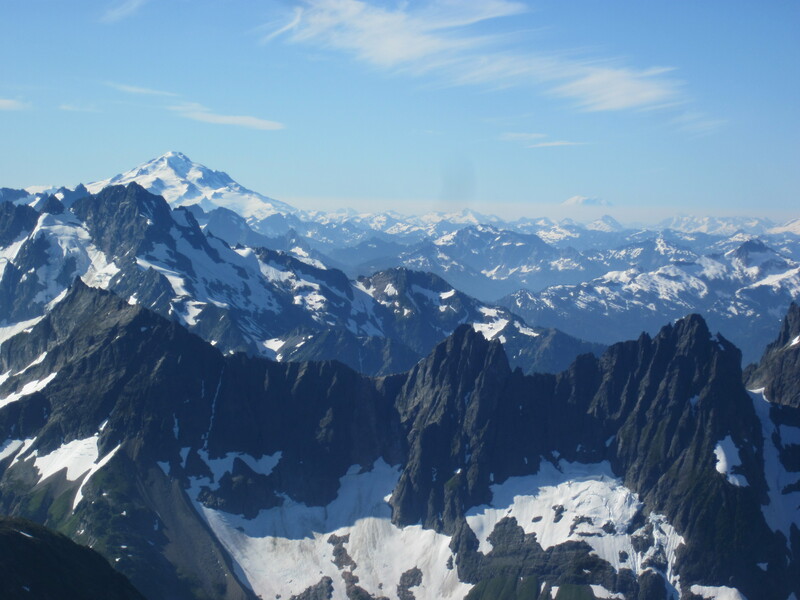 That both peaks offer great moderate as well as hard climbing at 15,000′ atop the park’s biggest glacier means hard works yields great views. 13. Blanca (Sangre De Cristo, Rockies, CO). The King of Colorado, or at least it should be. The state’s 4th highest peak even looks like a white crown, from afar. Blue Lakes basin camping and sunsets are sublime. The most incredible knife-edge ridge from Little Bear–I think it to be the best nontechnical 14er route in Colorado- just adds to its mystique. 12. Katahdin (Appalachians, ME). Moosilauke, a peak in the NH Whites, is probably truly my favorite Appalachian Trail environment with its vegetation and steep escarpments. But Katahdin represents the end of the most important journey of my life, my AT thru-hike, and is beautiful in its own right, rising 4000′ above the lake-pockmarked Maine landscape. 11. 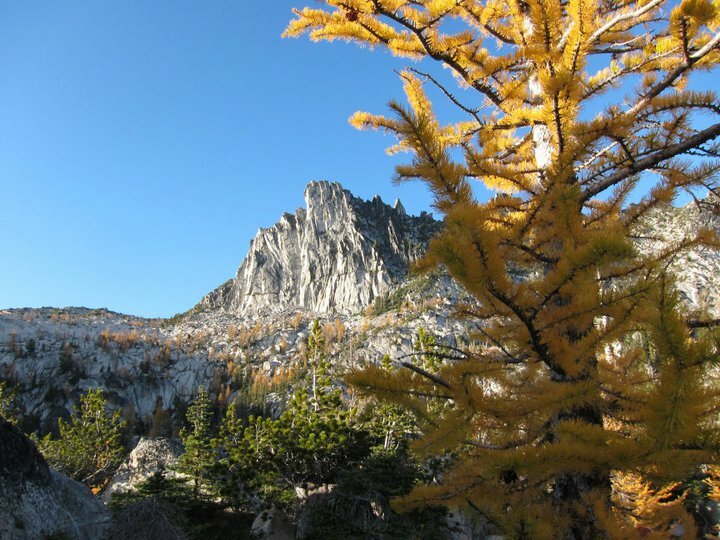 Temple Crag (Palisades, Sierra Nevada, CA). A massive mountain with huge technical routes, in the Sierra’s most famous range. Idyllic lakes abound and yes, it looks exactly like a Mormon Temple. TR is here. 10. Denali (Alaska Range, AK). Crowds aside due mostly to it being one of the continent high points (“7 Summits”), this is an amazing place. The South Face in particular hosts massive grandeur. TRs here and here. 9. Seneca Rocks-South Peak (Appalachians, WV). 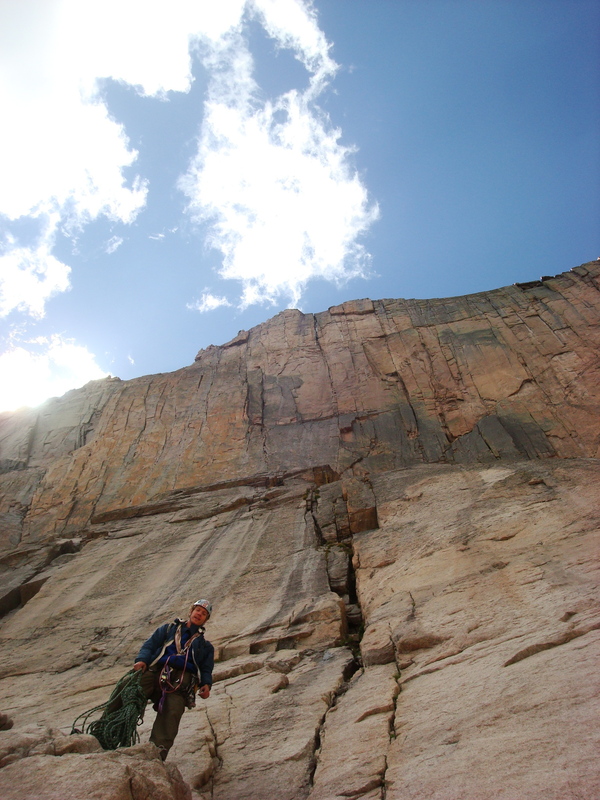 The highest peak East of Devils Tower that’s accessible only by technical climbing. A beautiful fin of rock. Excellent multi-pitch climbing. But what really sets this place apart is the history the traditional, old school ethics that the route developers from the Potomac Appalachian Trail Club used. “Sport climbing is neither” bumper stickers for sale. 8. Longs Peak (Front Range, Rockies, CO). Gets the brunt of all the weather moving in from the Midwest, its the only 14er in Colorado where there are multiple technical routes. 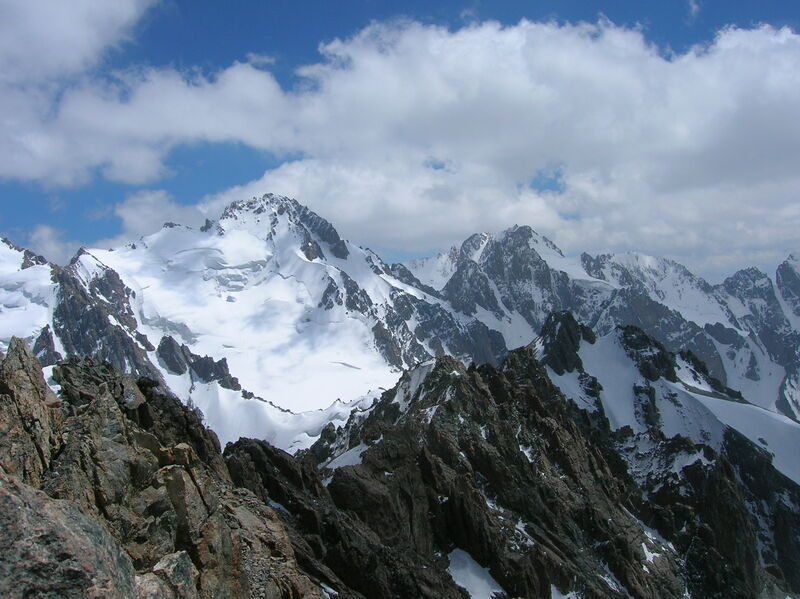 The diamond is deservedly one of the most famous alpine rock faces in the world. 7. San Jacinto (San Jacinto Range, CA). Even without its 10,000′ north face, it would be my favorite mountain in SoCal. With it, it’s one of my favorite in the world. This beautiful and amazing place has hiking, bouldering, alpine climbing in winter, snowboarding, plus Tahquitz on the back side for insanely classic multi-pitch climbing. One of several trip reports can be found here. 5. Gannett (Wind River Range, Rockies, WY). The Wind Rivers are so deep, so wild, so remote. Planes are not even allowed to fly over. A 25 mile hike-in brings you to this massive mountain, Wyoming’s highest but fortunately not nearly its most famous or most popular. There are some truly gnar routes on the peak…and we even saw a bear cross the glacier and go up the 50 degree gully on the normal route as we descended! TR here. 4. Forbidden Peak (North Cascades, WA). Three perfect sharp, class 5 ridges meet exactly on the 6 square-foot summit. Both the West (in the 50 classics book) and East (even better) ridges were quality, in a steep and heavily glaciated section of the Cascades. Rugged and with beautiful views of other peaks, and located in the gorgeous Boston Basin! Maybe present bias ranks this a little higher than it might otherwise. But it is in any case a tremendous peak. 3. Djigit (Terskey Ala-Tau, Tien Shan, Kyrgyzstan). A bigger North face than anything in the Alps. In 2003 this monstrous peak was my first 5000m summit, which we climbed by a very natural line on a rib on the North Face, without any knowledge of the route (guidebooks are generally non-existent). A year later, the classic, easiest route was still 20 pitches of ice on summit day that took us a full 20 hours…after the 2 day hike-in. Mountain grandeur is almost defined for me by this peak. 2. Black Mountain (Sangre De Cristo, Rockies, NM). 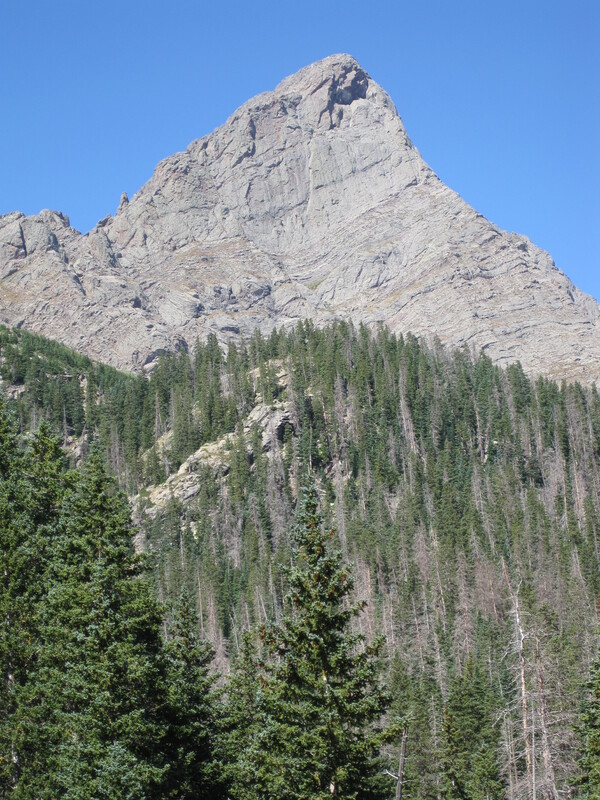 Not Philmont’s highest peak, but its most rugged, and with a lot of personality. The sign on the summit reads Everest. The centerpiece of many of my hike-ins as a ranger there, I have climbed this mountain by 5 different ways and still can’t get enough. 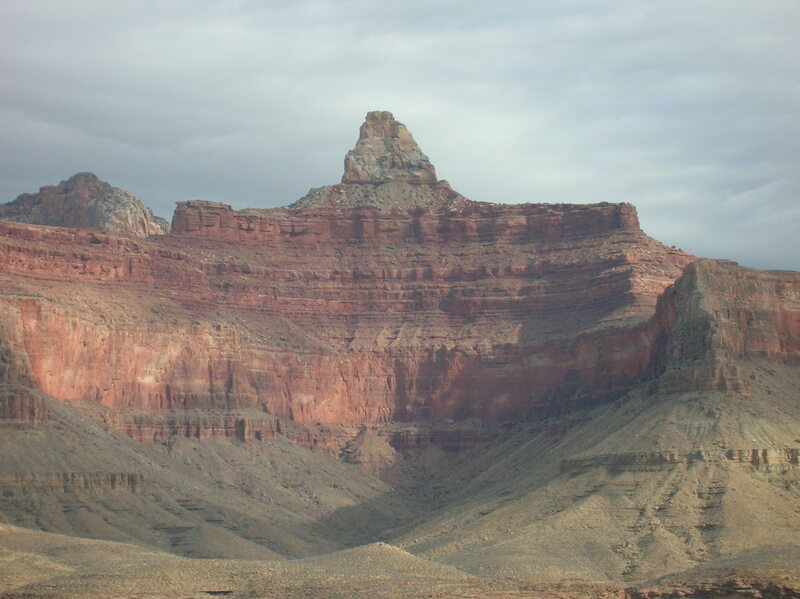 And of course, Zoroaster Temple in the Grand Canyon, my favorite peak I have ogled but haven’t yet climbed. Hopefully this year! This entry was posted in Climbing, Great Nature, International, Lists, Physical Exertion and tagged appalachians, cascades, kyrgyzstan, list, mountains, rockies, sierra nevada, tien shan, top 25. Bookmark the permalink.